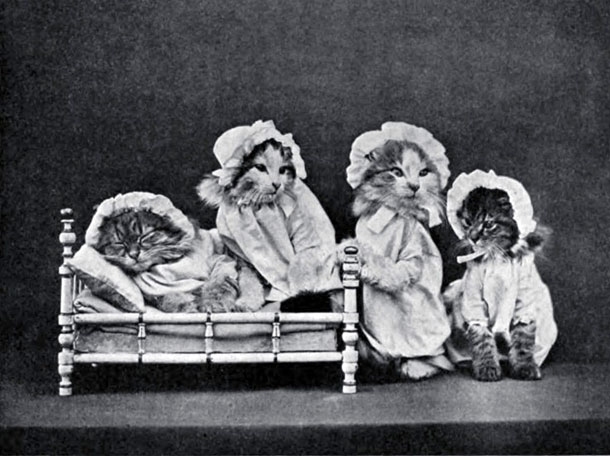 Cat memes that have taken over the internet lately are not a recent appearance. 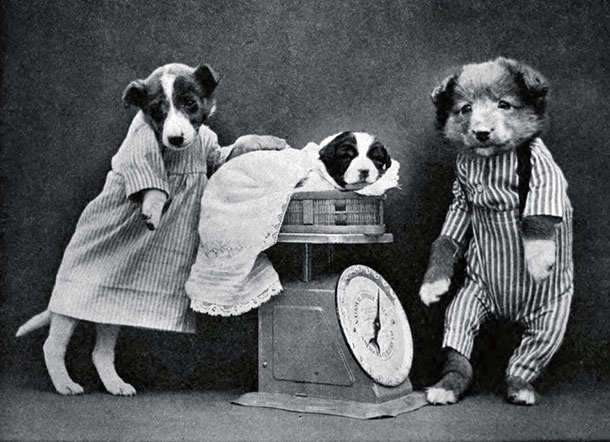 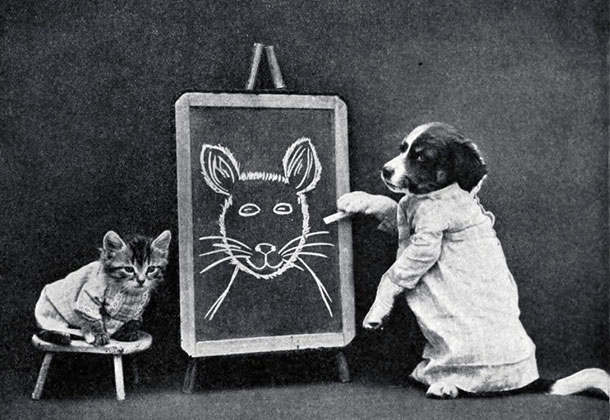 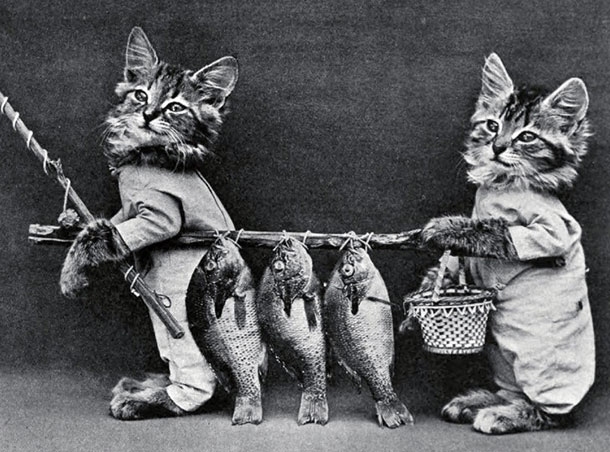 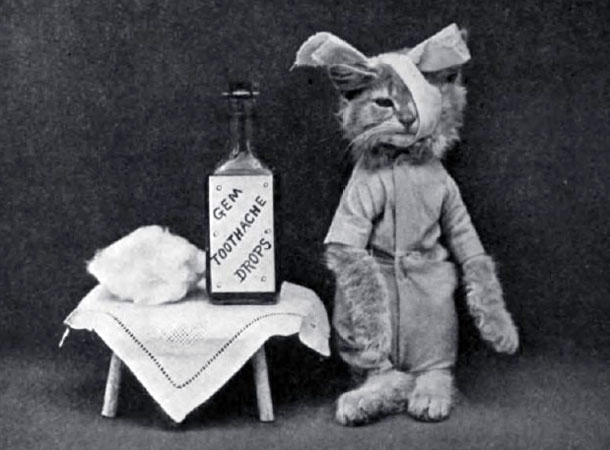 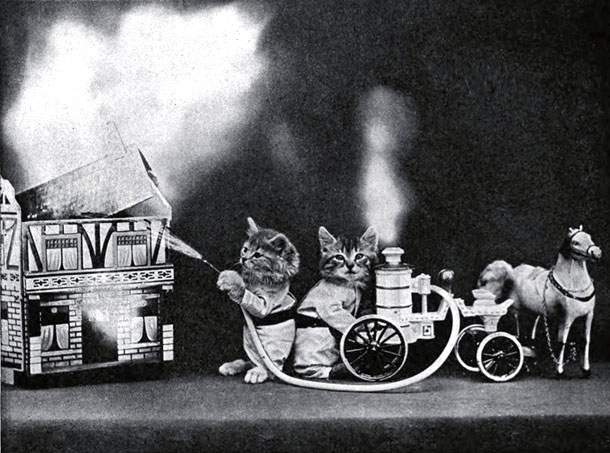 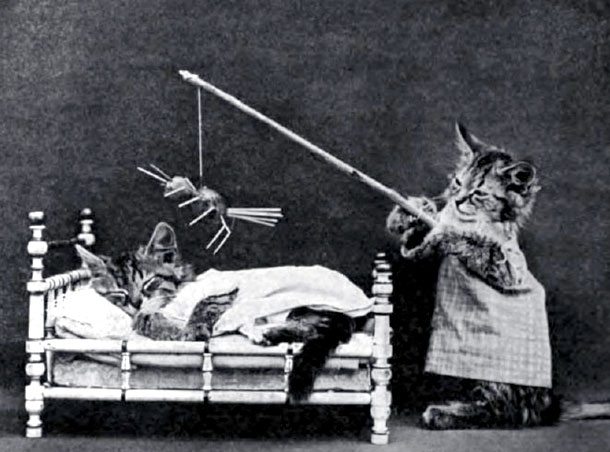 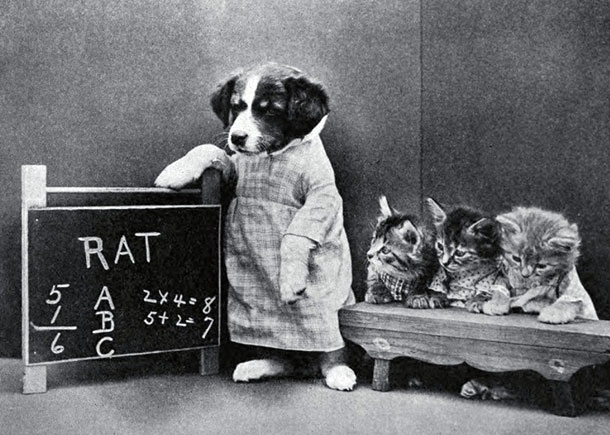 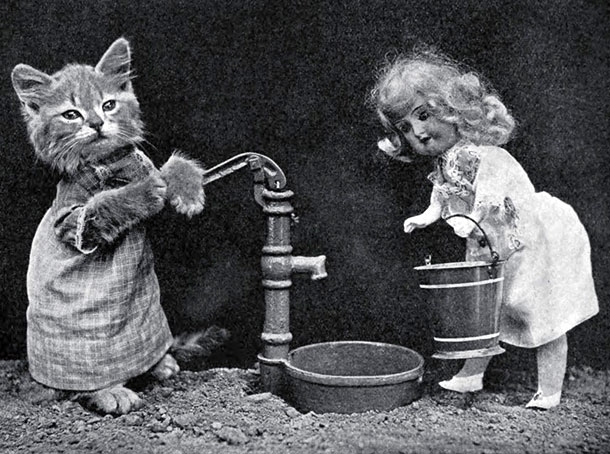 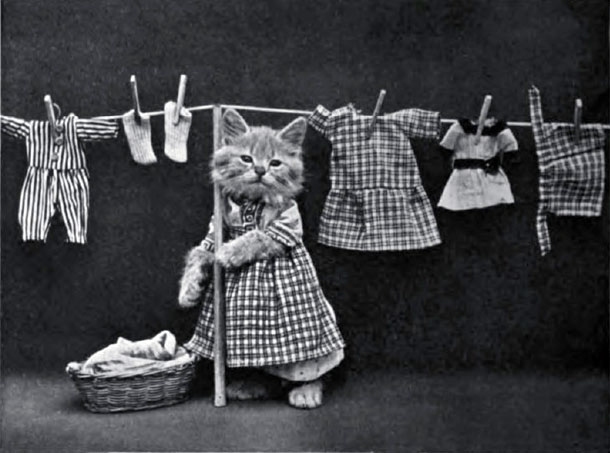 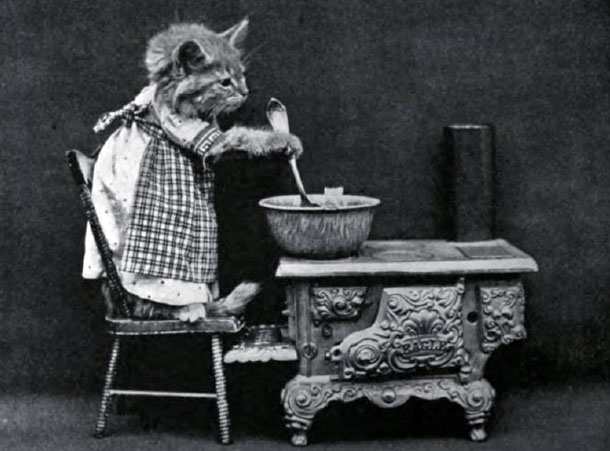 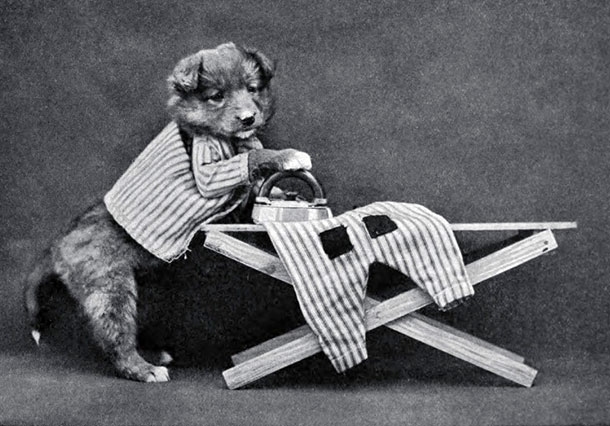 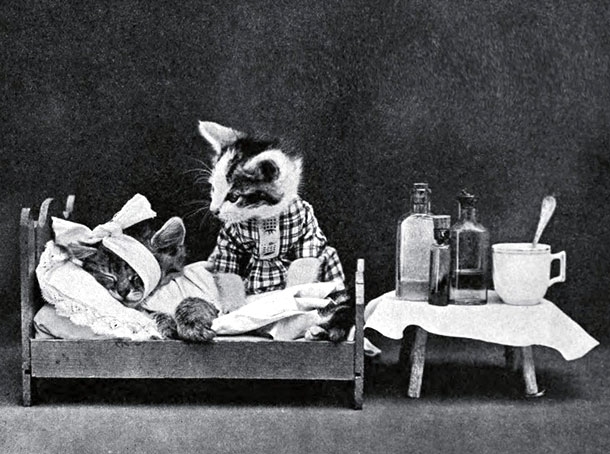 Actually, the American photographer Harry Whittier Frees (1879-1953) was the original creator of the LOLcats theme, dressing up and making the first photo shootings of his two pet cats, Rags and Fluff, in various hilarious situations. 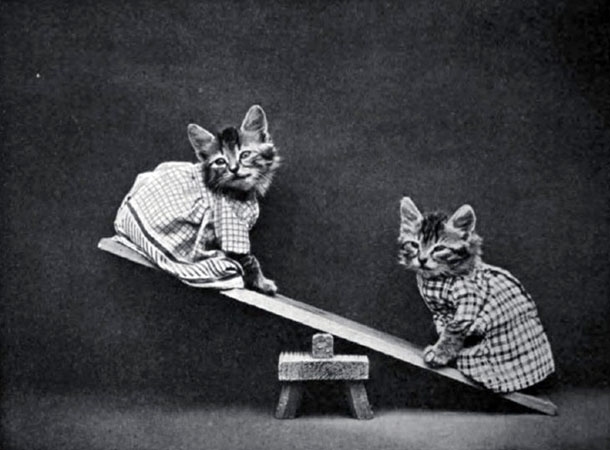 These two small and cute kittens, dressed in different outfits, such as aprons, pajamas, jackets were the perfect models for an amazingly funny photo gallery, becoming wildly popular, even becoming iconic images on book covers, calendars and post cards. 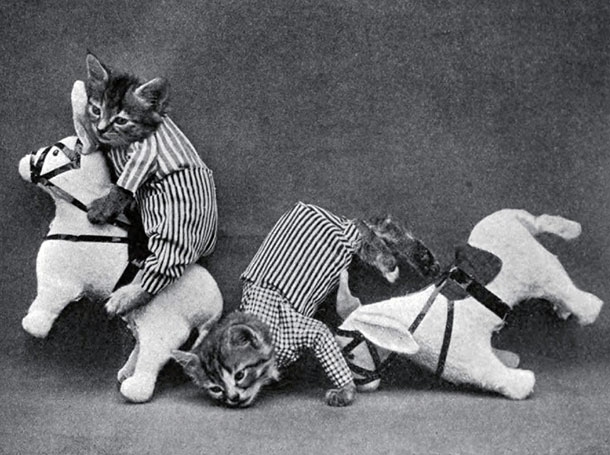 The idea came to hart Whittier in 1906, at a party, when during a celebration, a party hat ended up on a pet cat’s head, which caused a lot of amusement and laughter among the people there. 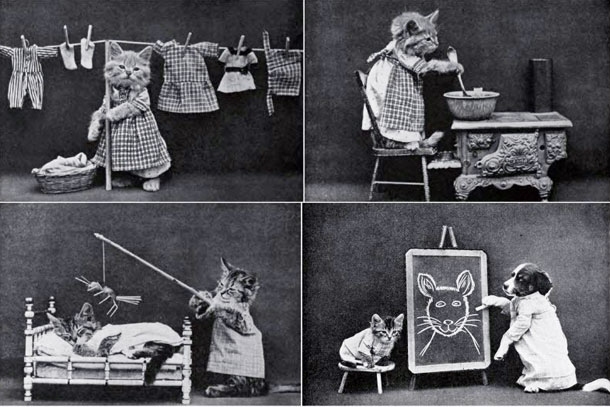 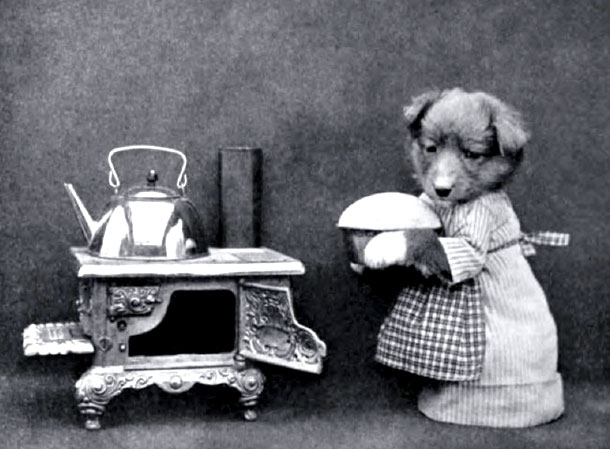 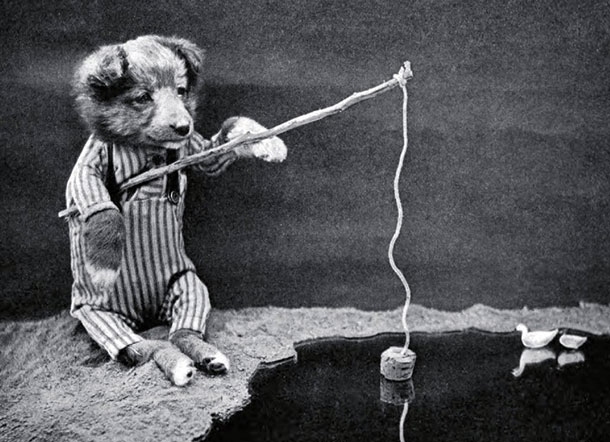 From then on, this idea developed and Whittier’s mother even participated, tailoring the little outfits for the feline models. 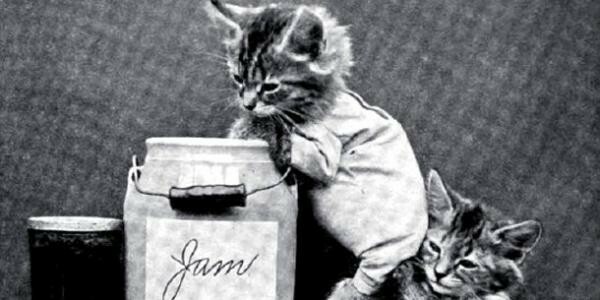 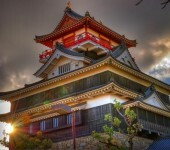 And since then, everything is history, cat memes becoming a real trend not only among cat lovers, bringing smiles to most people around the world.